Steven J. Lepper, President and CEO of the Association of Military Banks of America (AMBA), is pleased to announce the Bank of the Year Award recipients for 2014. 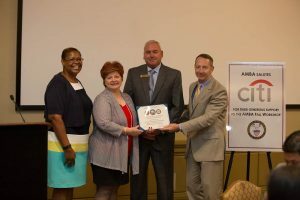 Each Military Department, Army, Navy-Marine Corps, and the Air Force, annually recognizes “Bank of the Year” award winners for its outstanding support to service members and their families. 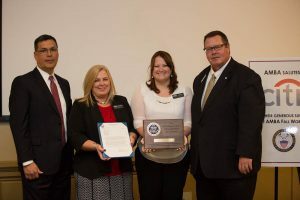 The Army recognized Fort Hood National Bank, located on Fort Hood, Texas; the Navy-Marine Corps recognized Armed Forces Bank, N.A., located at Great Lakes Naval Station, Illinois and Fort Sill National Bank (Armed Services Bank), Parris Island, South Carolina; and the Air Force recognized Bank of America, located at Davis-Monthan Air Force Base, Arizona, and FNB Community Bank at Tinker Air Force Base, Oklahoma, for this prestigious award. In making the announcement, Mr. Lepper stated, “The Association of Military Banks of America is pleased to provide a forum for the Department of the Army, the Department of the Navy, and the Department of the Air Force to recognize these five exceptional banks for their outstanding service in 2014. Each bank went above and beyond to lead the banking industry in providing the best financial services possible to service members and their families. The AMBA Board of Directors and AMBA headquarters staff join each Military Department in congratulating these well-deserved award winners. The Association of Military Banks of America is a not for profit association of banks operating on military installations, banks not located on military installations but serving military customers, and military banking facilities designed by the United States Treasury. Founded in 1959, the association’s membership includes both community banks and large multinational financial institutions, all of which are insured by the Federal Deposit Insurance Corporation. For over fifty-five years, AMBA has been instrumental in helping its members serve the financial needs of military personnel and their families. 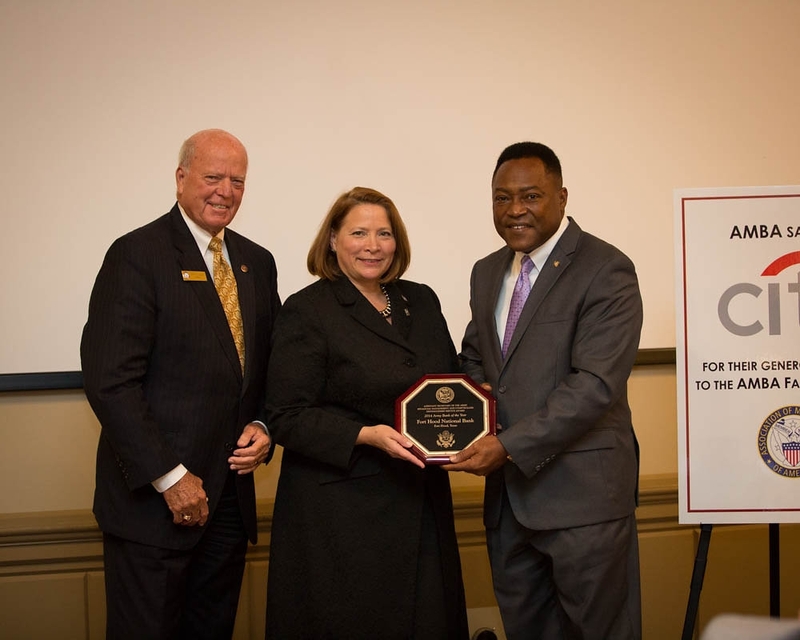 AMBA held its Annual Fall Workshop for military bankers and Department of Defense personnel in Leesburg, Virginia, August 30 – September 2, 2015. To learn more about AMBA, please visit www.ambahq.org. 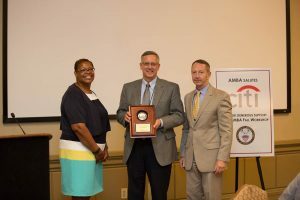 AMBA Announces the Presentation of the OSD Medal for Exceptional Public Service to Andrew M. Egeland Jr.